"Written with flair and expertise." "Masterly. . . does full justice to the city." The most European of South American cities, Buenos Aires evokes exile and nostalgia. A nineteenth-century replica of Paris or Madrid set adrift in an alien continent, its identity is neither of the Old World nor the New. The city’s rootlessness has famously found expression in the melancholy of tango and, more recently, in a vogue for psycho-analysis even more widespread than New York’s. Jason Wilson explores this contradictory and culturally rich city by tracing its development from remote settlement to modern metropolis. 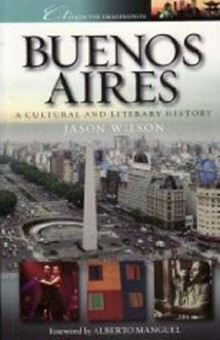 Taking landmarks, both well-known and hidden, as starting-points for a journey of discovery, he looks at the events, people and writing which have shaped modern Buenos Aires and its cultural life. THE CITY OF BORGES AND CORTAZAR: the European literary tradition, magical realism and fantasy, the construction of an Argentine voice. THE CITY OF TANGO: the music of longing and despair, a meeting-point of machismo and sensuality, lowlife culture of the port. THE CITY OF PASSIONS: the cult of Evita Peron, the life-and death matter of football, the totalitarian political legacy. JASON WILSON is Professor of Spanish and Latin American Literature at University College, London, and the author of books on Octavio Paz, Alexander von Humboldt and Latin American literature.